If anyone knows what’s it’s like to wait to find love and marriage, it’s me. I waited 39 long years of life to walk down the aisle. Trusting God during the long wait was sometimes extremely difficult. Some days, all I could do was pray. I started to realize that “all I could do” was actually quite significant. I found out later how God-led my prayers actually were, once God revealed to me who I was going to marry and what he was going through in his life when I chose to pray certain things. My prayers mattered; my prayers paid off. 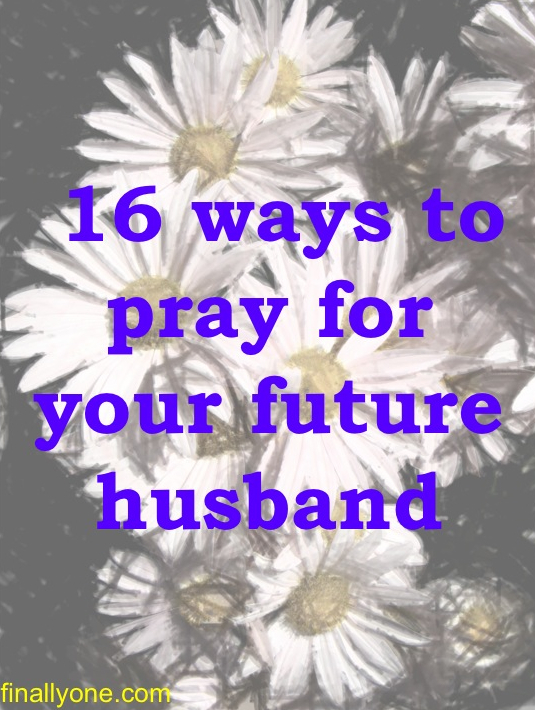 When waiting to find a husband and get married, it can seem like you are helpless and “doing nothing.” One of the best things to do while waiting is to pray for your future husband. To follow are 16 prayer points that you can focus on during your waiting season, to pray for his preparation. You likely won’t know who that person is going to be when you are praying these prayers. But thankfully, God does. Pray for his walk with God, that he continues to grow spiritually and is prepped to be the spiritual head of a household, and that he makes God the top priority in his life. Pray for his ability to hear God’s voice, for his ear to be in tune to hear all of God’s instructions. Pray for his will to be bendable toward whatever God wants for his life. Pray for his emotional health—that any past wounds be dealt with and healed. Pray for restoration in all areas. Pray for his physical health. Pray that he break free of any unhealthy addictions, if needed. Pray for his career, his life’s work, that he be established in the field where God wants to use him and that he be wise with his resources. Pray for his ministry—that he be sensitive to God’s call on his life when it comes to ministering to and serving others. Also, pray for God to prepare both of you for the ways you will minister together. Pray for his preparation—that he yields to all that God’s potter’s hands would like to accomplish in him. Pray for God to send any trials necessary into his life that will allow the preparation process to be complete. I realize that may be a bit controversial. Knowing how much God has accomplished in my life through trials, I would expect nothing less of my husband’s journey toward me. Pray for God to prepare him to be a father, if the two of you will ultimately raise a family together. Pray for God to help him be responsible with his finances and prepare him to be a significant contributor and provider to the household. Pray for his identity as a man, his masculinity and self-esteem, that he grows into the man God wants him to be. Pray for him to not be distracted by any counterfeits—especially other women that God doesn’t intend to use for his growth. Pray for God to allow this man to see you the way God wants you to be seen, with God’s heart toward you. Pray for God to show you how to pray for your husband. Be open to whatever His Spirit may whisper to you, to cover your husband’s needs. If you feel God gives you something specific, write it down and date it. Save it for later. I hope that praying these prayers will encourage you in your waiting, and help you feel that you are accomplishing much in the spiritual realm. I pray you will wait on God’s best. 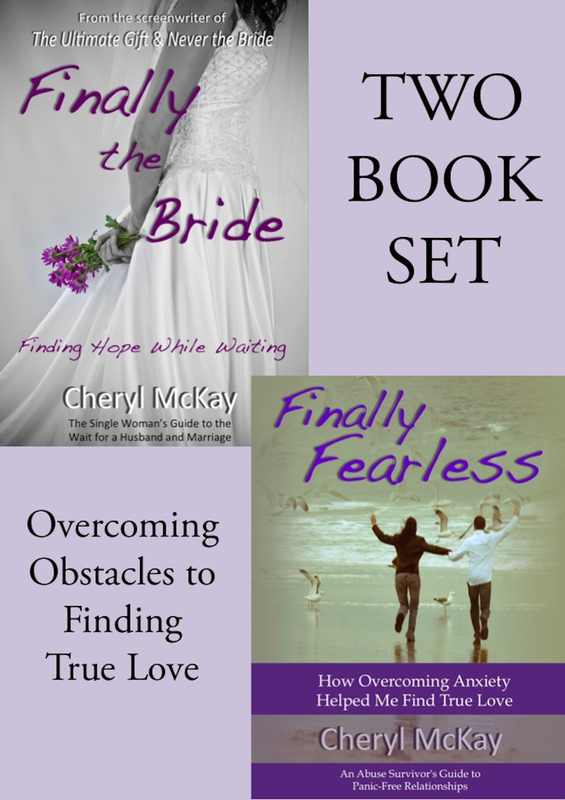 These prayer points are excerpted from Chapter 10 of my book, Finally the Bride: Finding Hope While Waiting.